Leon Douch, Head of Insurance UK, Allianz Global Investors, discusses his background in asset management, the challenges investors face in the current environment and the strategies that are of most interest to insurers. Hi, my name’s Leon Douch. I head up the insurance practice at Allianz Global Investors in the UK. My background is that I started work in the Lloyd’s of London environment. I was a finance director within the insurance market here for a number of years serving in a few different firms. 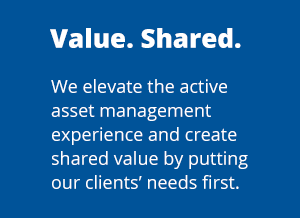 When I came into the asset management world my role was really to listen to our insurance clients and really try and understand their needs. Allianz has a huge footprint globally and as an asset manager that is a real advantage and for me, as a former insurance client of Allianz, I knew that the footprint that these guys have would help me in my day-to-day job in providing good solutions for my clients. Insurers right now have many different challenges. Primarily within the investment world is that we are coming into the late stages of the credit cycles. We’re still seeing very low yields, relatively speaking to history. Insurers are also extremely challenged on other parts of their balance sheet from a high cost income ratios, low rates environment and growing business is extremely difficult. If I think about all the different insurance types from general insurance right through to life, with runoff and P&C clients in between, Allianz has all of those lines of business within its insurance make-up. That means that there are going to be products that are going to be suitable for all types of insurer, because they’ve been developed with the parent in mind and with other institutional investors in mind. That’s a very powerful thing, because it means that not only are our insurance partners getting well-designed solutions, they’re also investing alongside an insurance brand. That means that we’ve addressed the regulatory concerns of all of these products, we’ve thought about their construction and we’ve thought about it in a way that’s going to be beneficial to those people.